Let’s KISS away this 4th A-Z blogging challenge with a little gratitude. 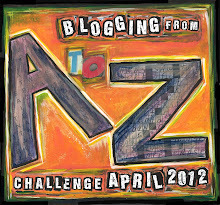 First up we have the letter A – and Arlee Bird, founder of the A-Z Blogging Challenge. Thank you Arlee. I stumbled upon your A-Z just after I’d started blogging again. It seemed like a good idea to participate, to give me an incentive to write every day and you were a dedicated visitor, reader and commenter. There have been times when I’ve felt you were the ONLY reader – other than my mother. So thank you Arlee. 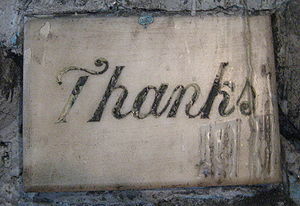 I’ll post a little gratitude everyday except Sunday – following the letters of the alphabet sequentially. There’s nothing like a little gratitude to make you feel better deep inside. You know the place I mean…it’s the same place where you feel the smile. Try it – smiling that is – and see if you can locate the place inside your being where you feel that smile, and feel the powerful, happy energy radiate outward from there into the world. Yeah, I like gratitude and smiling. Thanks Arlee. Love the idea of posting gratitude each day for the blogging challenge. It’s something that hadn’t crossed my mind. Looking forward to visiting throughout the month to see what all you are thankful for. Hi Amanda – I was stuck for a theme and need something really straight-forward and simple because I have a final project for school due on the 15th! Not a good time to A-Z! Thank you, Alison. I guess a thank-you is valid even if it comes late.